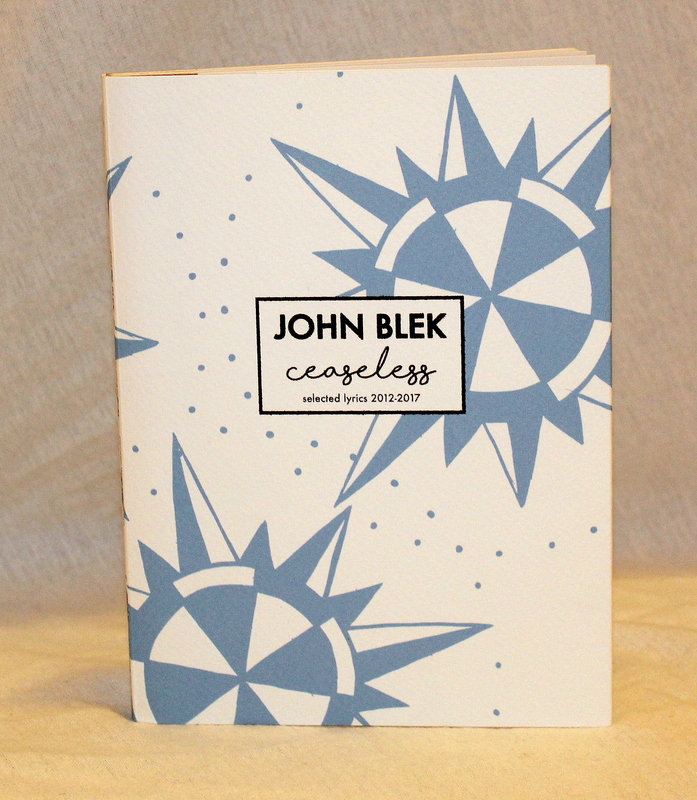 Ceaseless is a book of selected lyrics written by John Blek between 2012 and 2017. Ceaseless is a book of selected lyrics written by John Blek between 2012 and 2017. Designed and hand printed by Badly Made Books in Ireland.